I have been looking, for the longest time, for something to put on my sofa table. I wanted to do lamps but I will be honest and say my husband and daughter rough house a little too much for me to think that was a safe idea. So as to not have to yell, “don’t knock over the lamps” every five seconds I resorted to something a little different. 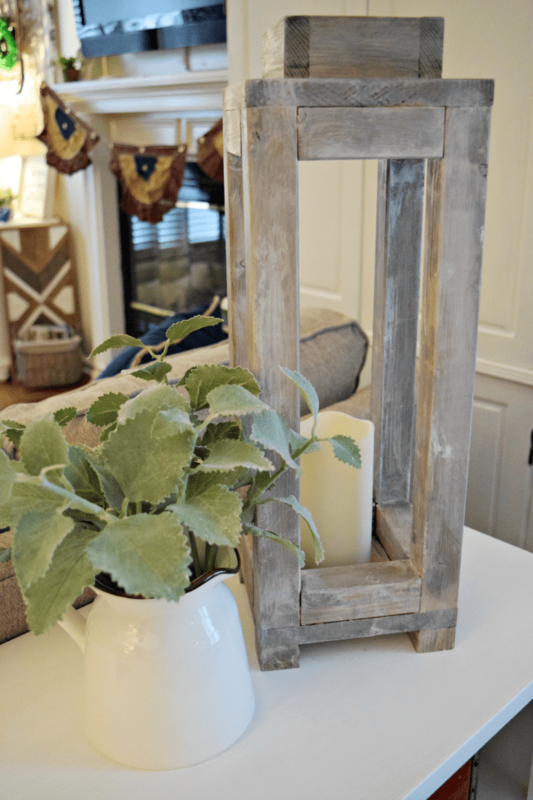 I decided to DIY this super cute rustic wooden lantern. NOTE: I cut mine 7 1/4 because my actual 8-inch board is 7 1/4 inch. Cutting them at this length made them square. Depending on your wood and how dry it may be the length could range from 7 – 7 1/2 inches. 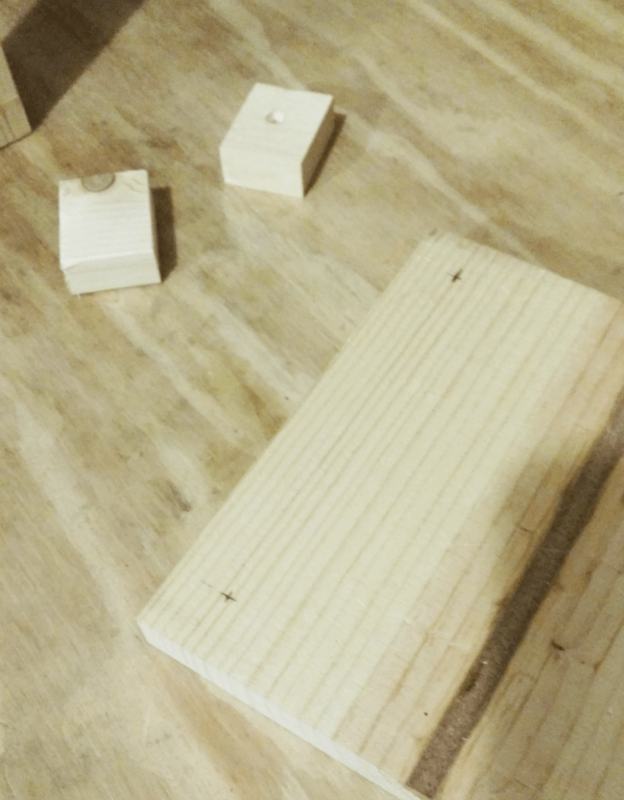 Make your cut by how wide your 8-inch board is measured. You will want your top and bottom pieces square. 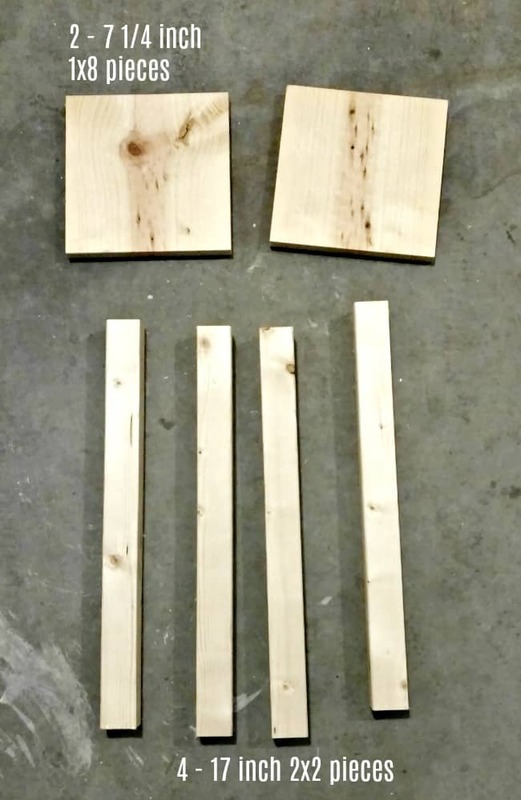 Measure on one of the 1×8 cut board pieces 1/2 inch from each side to mark your spot to drill and attach the feet and up into the legs. Do these on all four sides. We used flat head screws and drilled them with a countersink bit so that the screw would sit flush. You can see in the picture below we drilled through the feet into the base and into each leg. Add glue to the feet and leg pieces for strength. Now you are ready to attach the top. 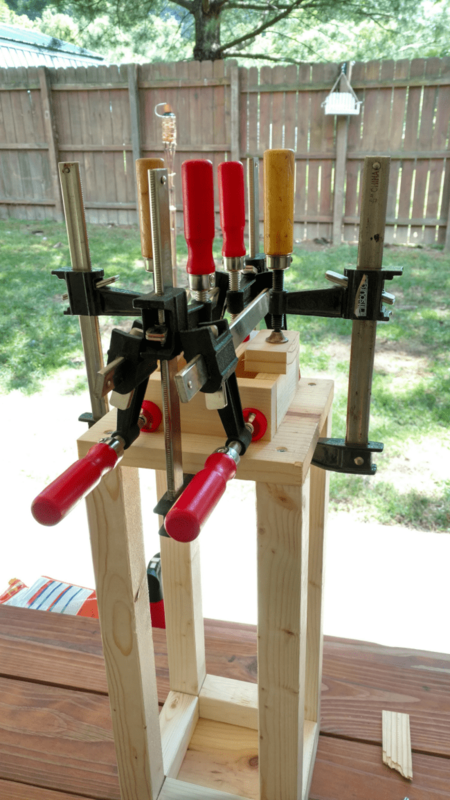 Add glue to the 4 legs and using the 2 1/4 inch screws attach the top board. 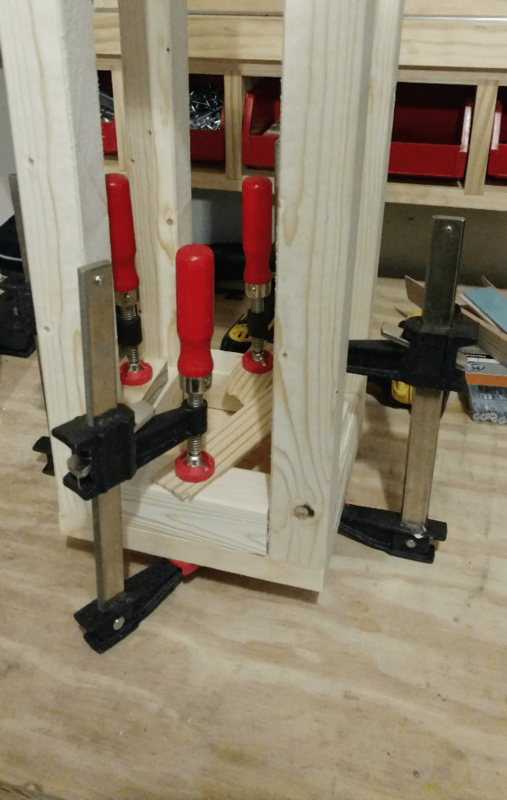 You can use smaller screws for this if you have then but no need to purchase extra as you will need the 2 1/4 inch for the bottom. 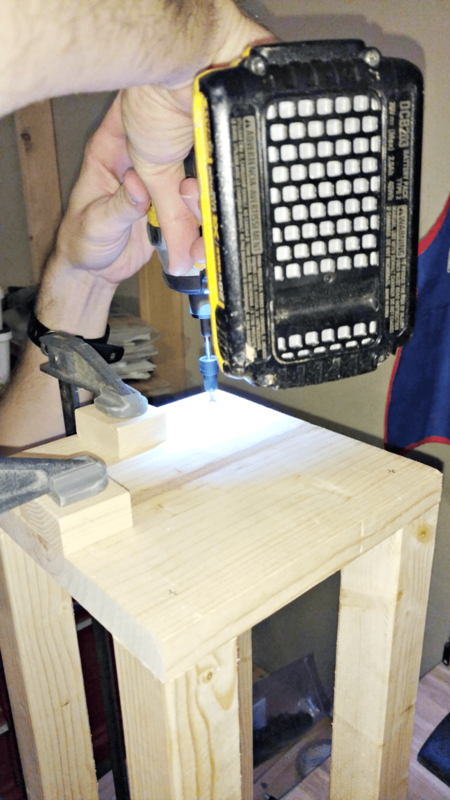 We again used the countersink drill bit so that the screw would sit flush. After the glue on these pieces set up, you are ready to work on the top crown piece. We decided to only attach these with glue, but you could also pop a few brad nails into them as well. 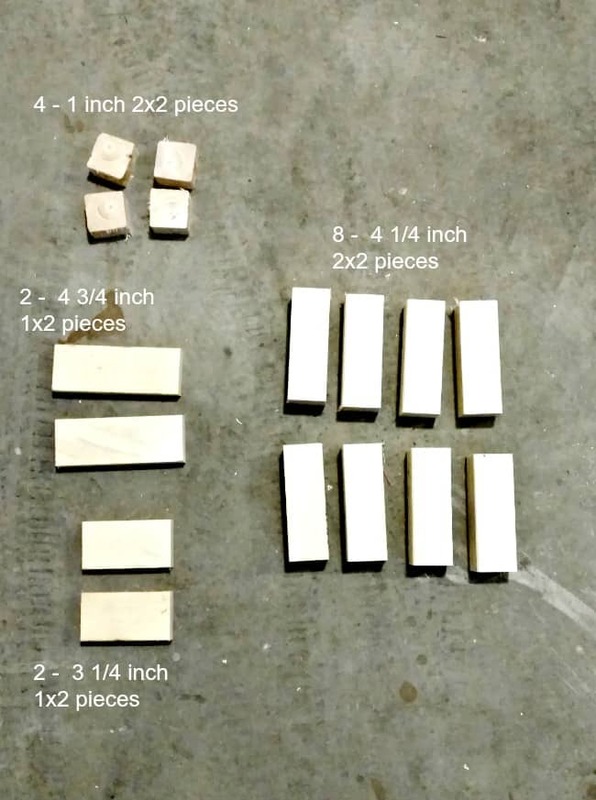 NOTE: The smaller 3 1/4 inch pieces get sandwiched between the 4 3/4 inch pieces. 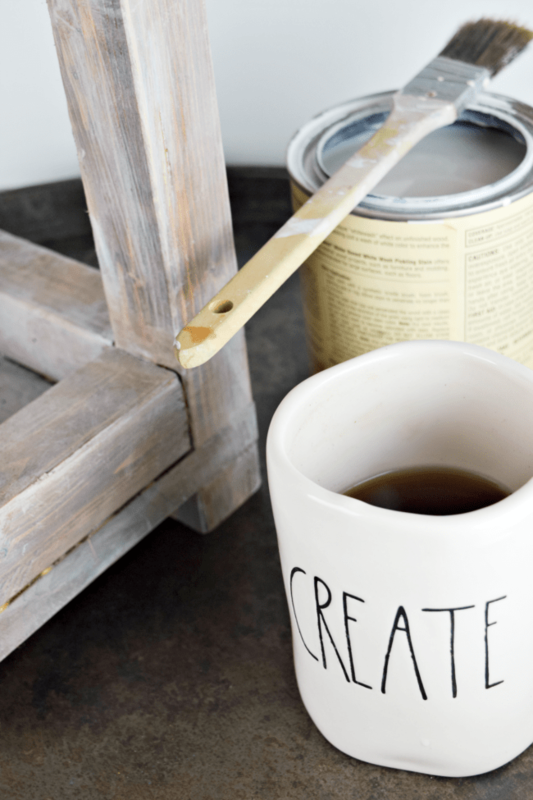 While you are waiting for the glue to dry go make you a nice cup of joe so you can get your second wind and finish the rest of this project. 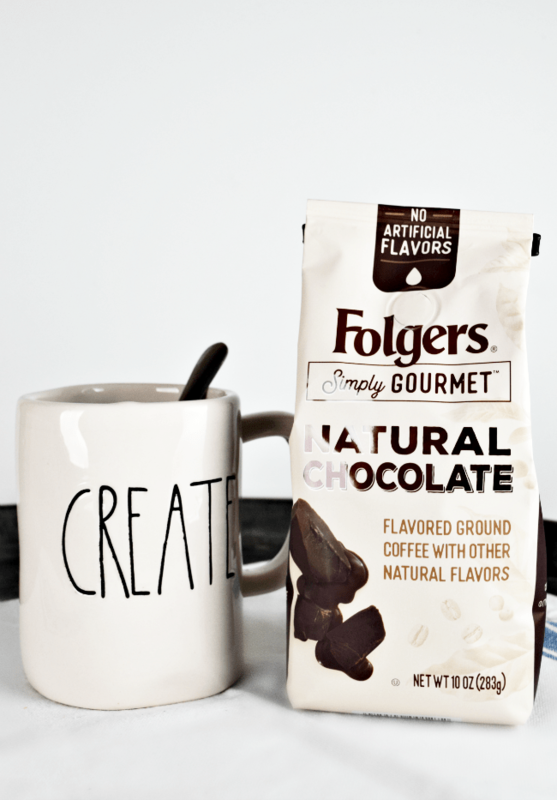 I am loving the new Folgers Simply Gourmet natural flavors. My new favorite being chocolate but they also have Cinnamon, Caramel, and Vanilla. 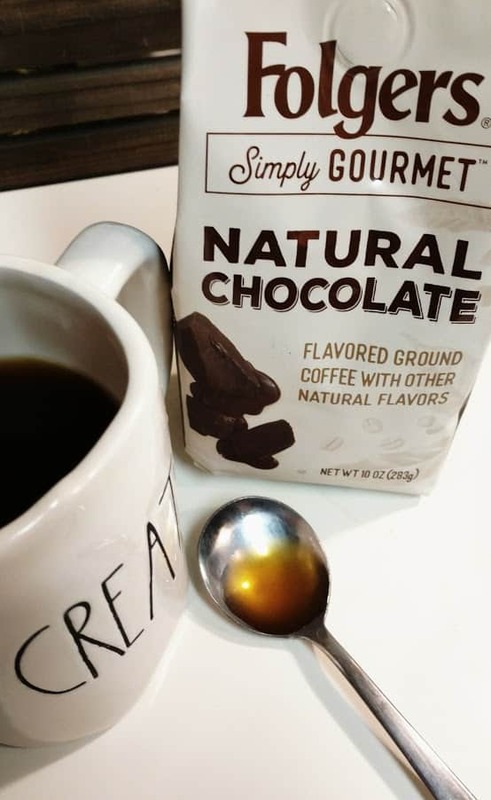 You can find them in the coffee aisle at your local Walmart. Now that the glue is set and you have replenished your energy we can get back to business. You are ready to attach the bottom and top sides. We again just used glue to attach these, but you could brad nail them as well. 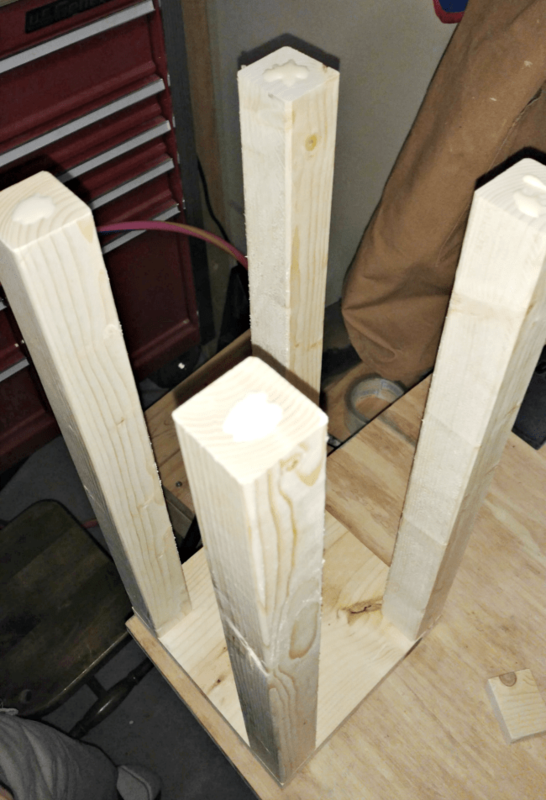 Once these are added and dry your DIY wooden lantern is all done. 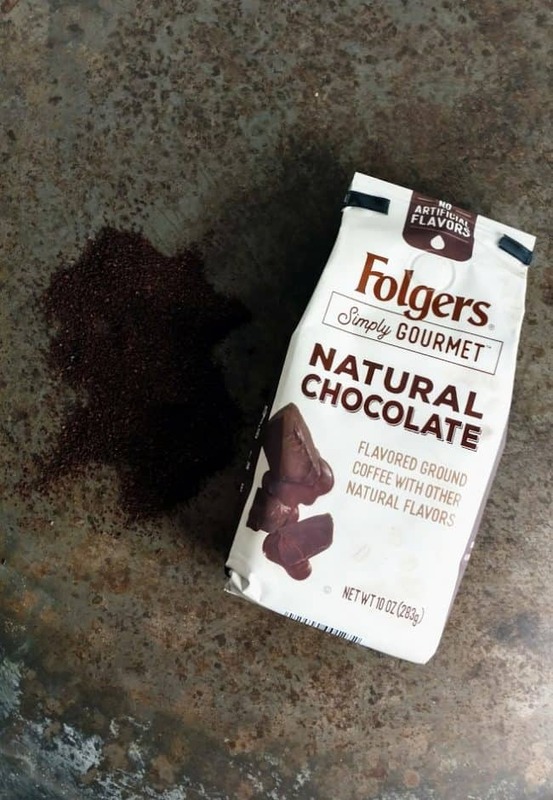 Well, sort of, if you want to stain it now is the time for that step. 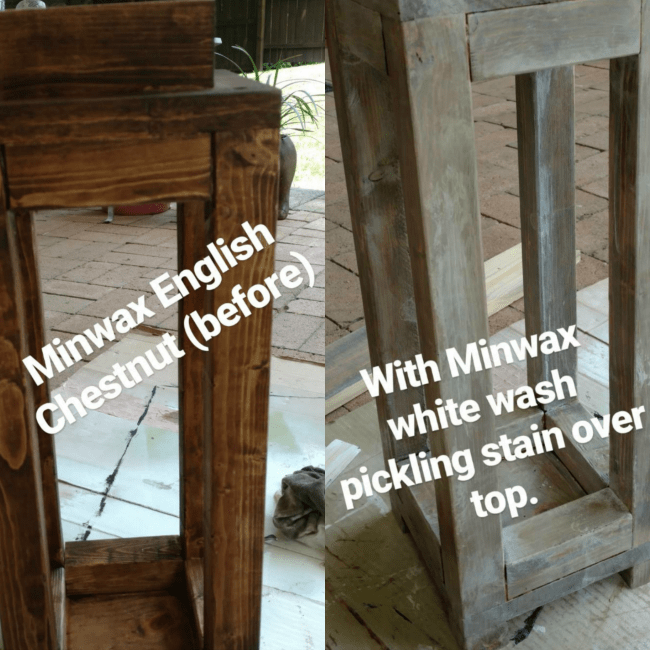 I have a great homemade stain if you want to check that out. 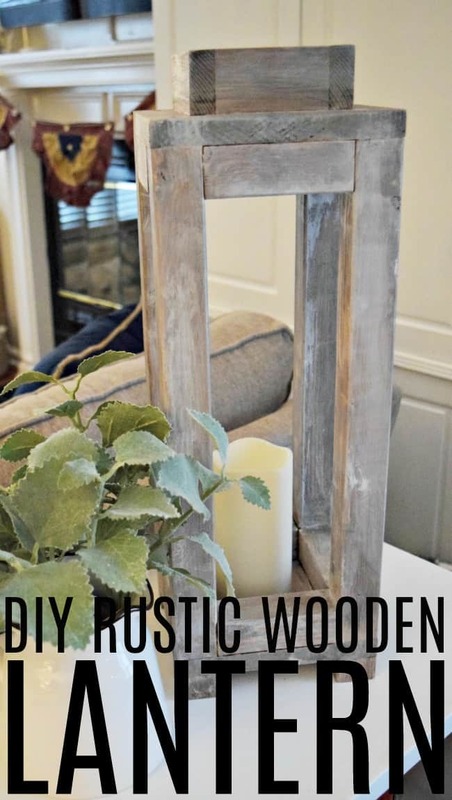 This DIY rustic wooden lantern is awesome and it is an amazing tutorial.